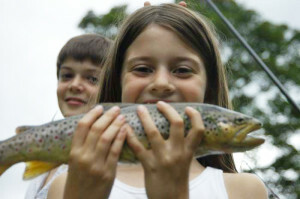 A sea-going variety of our native Brown Trout, but with firm pink flesh as a result of its diet of crustaceans. Gourmets believe this fish to be superior in flavour to salmon. Beware of hatchery trout which grow to the right size and are fed Paprika in their diet so that the pigment makes their flesh go pink too.